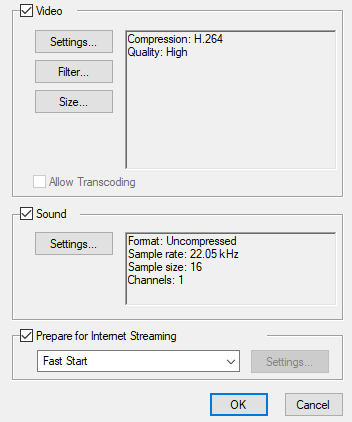 The QuickTime Movie Settings dialog box allows you to configure the video and audio compression settings when exporting a QuickTime Movie (.mov) file. It uses Apple QuickTime's interface. Opens the Export Size Settings dialog box. 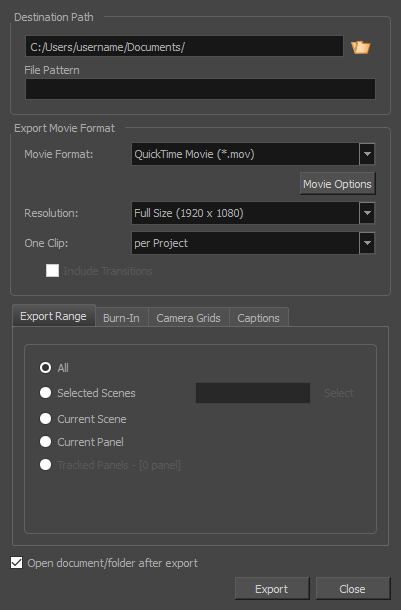 This dialog is available because of the way the Apple QuickTime interface is designed, but its settings are not taken in account by Storyboard Pro. The size of the exported video is determined by Storyboard Pro.